Earlier this year, diplomatic relations between the United States and Cuba finally began to thaw after a nearly six-decade long standoff between the two countries. In the immediate aftermath, a small wave of American tourists took to the island country in order to experience the culture before Western capitalism could take root and turn the country’s many delicious, locally operated paladars into a variety of Joe’s Crab Shacks and Hard Rock Cafes. Following the lead of Conan O’Brien, who spent a week on the island and crafted a whole show around his encounters, pop music emissary and drummer of the Roots, Questlove paid his own visit to Cuba and filmed a new mini-documentary, Quest For Cuba, about his interactions with the country’s music scene and his attempt to introduce hip-hop into the local culture. 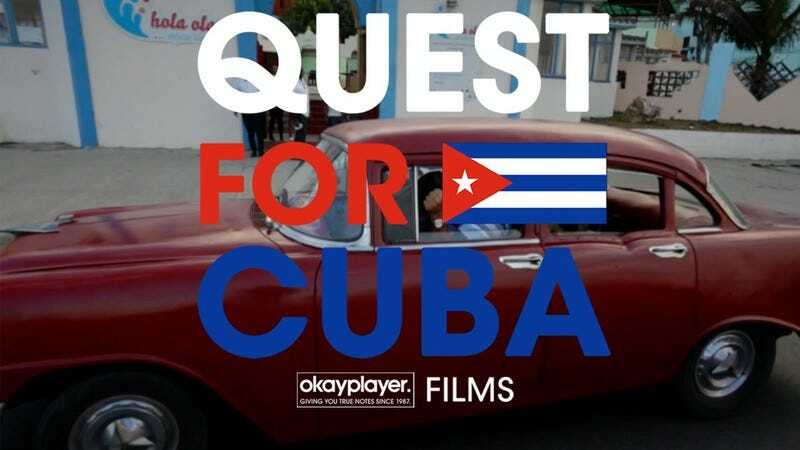 The film captures Questlove as he navigates the streets of Havana by day and holds down a multi-night DJ residency at one of the city’s hottest nightclubs by night. Along the way he stops by a record shop and receives a crash course in Cuban funk music history while scoring an array of hard-to-find vinyl, he mixes it up with a smattering of local contemporary Cuban artists and producers, and pays a visit to EGREM studios, where some of the country’s most vital recordings were made.